A farmer shares the love of vegetables via a Xerox machine. Most parents try to instill in their children a love of vegetables, but Julia McDonald’s parents may have done a better job than most. In 1980, McDonald’s mom and dad self-published (via Xerox machine) a cookbook called, straightforwardly, 171 Zucchini Recipes (her mom did the words, her dad the art). 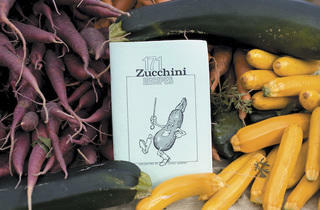 The enthusiasm her parents mustered for zucchini—and, one can assume, vegetables in general—seemed to work. 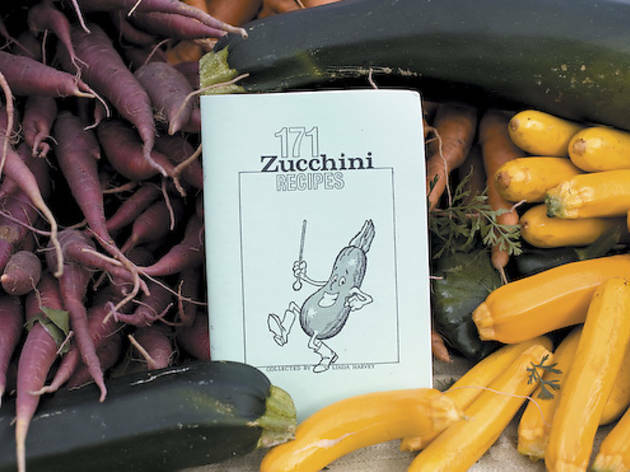 McDonald and her husband, Todd, now own Peasants’ Plot Farm in Manteno, where they produce not just zucchini but greens, peppers, herbs, garlic, tomatoes, potatoes, carrots, beets and, now, newly Xeroxed versions of 171 Zucchini Recipes, good for catching the vegetable bug yourself (and/or giving it to loved ones). $6 at the Lincoln Square Farmers’ Market, Tuesdays 7am–1pm at 4700 N Lincoln Ave.